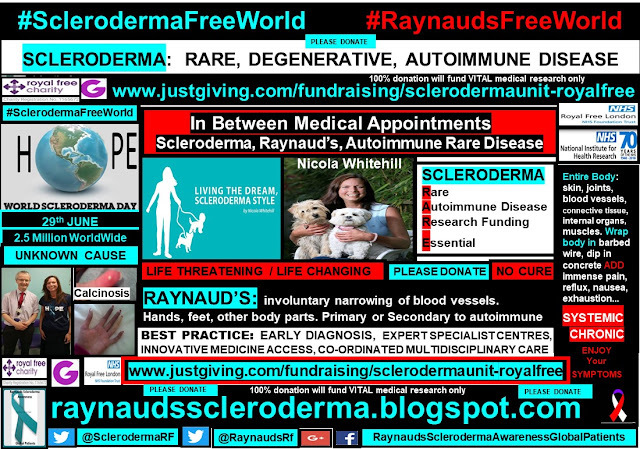 Living with a systemic, chronic, degenerative disease, where the cause and cure still remain unknown, makes for a diary filled with medical appointments. In between which, symptom management is a full time job, in itself. 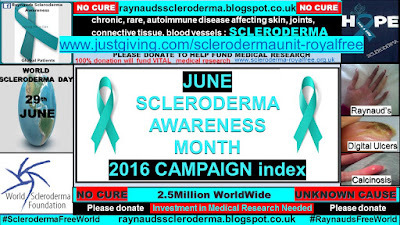 I have a strict daily routine in place, in an attempt to minimise the severity of my ongoing symptoms. 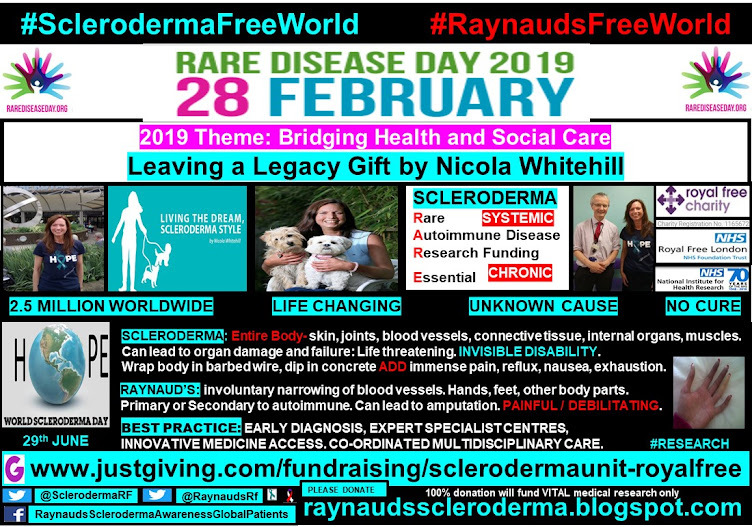 However, as every patient will surely agree, no day is exactly the same in relation to the Pandora’s Box, which the autoimmune rare disease, scleroderma, diagnosis brings. 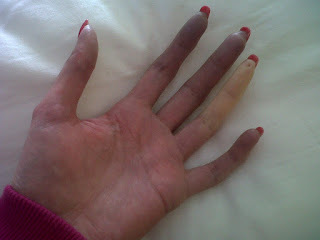 My daily routine incorporates my diet, skin, Raynaud’s and ‘tin man’ demands. 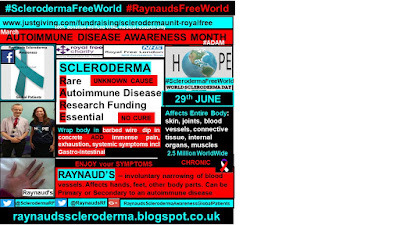 Even after 20 years, it still remains an ongoing challenge for me, to attempt to minimise my symptoms. 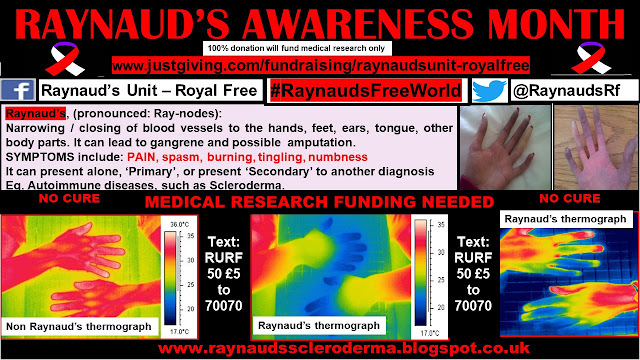 The severity of my Raynaud’s involvement, keeps me under house arrest all year round. My sensitivity is such, that the smallest decrease in temperature, regardless of how warm it actually is, will trigger an attack in my hands and toes. My ears and nose may also become involved. 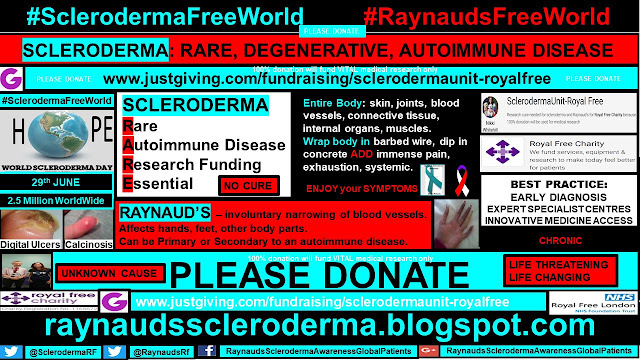 Combined with calcinosis and digital ulcers, this makes for a very painful and debilitating reality. 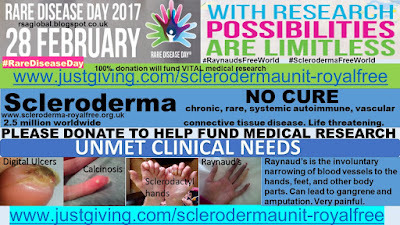 I highlighted more about this in my article for Rare Disease Day 2017, the clinical unmet needs. 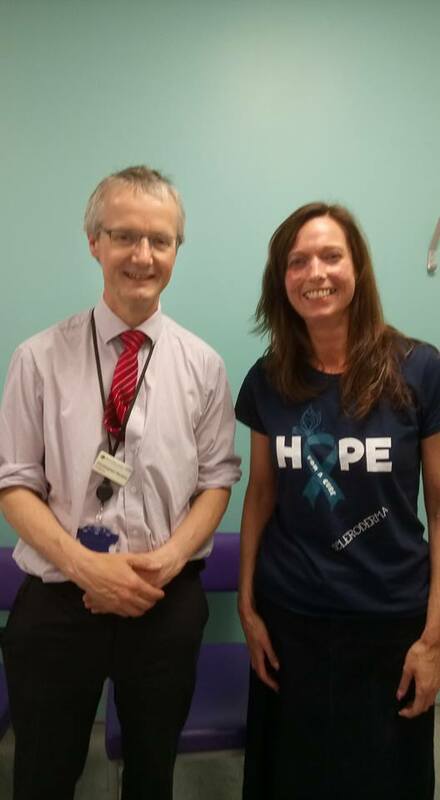 The British Society for Rheumatology (BSR) held its annual conference last week in Liverpool. 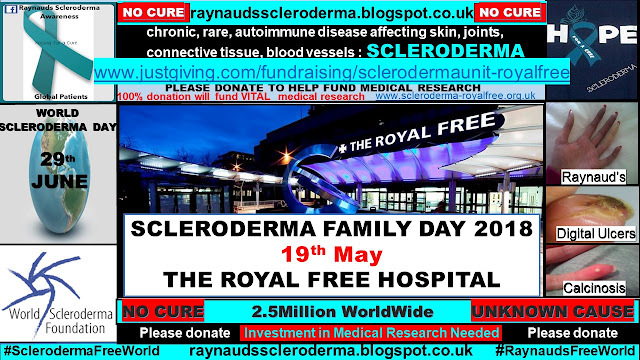 Sadly, I was unable to attend due to a relapse with my shingles pain, and a resilient digital ulcer on my right index finger, which has been in situ since March! Two courses of flucloxacillin have just about cleared the infection, bringing along an overgrowth of candida in my gullet. 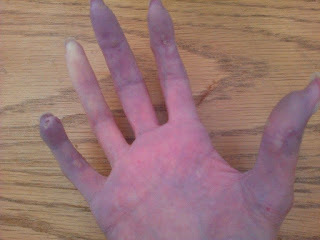 The skin has still not healed and the slightest touch sets off the most excruciating pain. 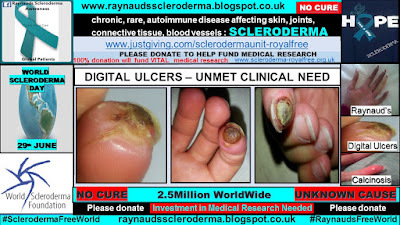 However, I know that when it comes to digital ulcers, I am very lucky, even though their pain and management is extremely trying and soul testing. 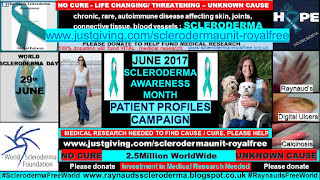 During the course of my global patient profiles campaign for Scleroderma Awareness Month 2017, every patient detailed how digital ulcers were a continual problem to them. 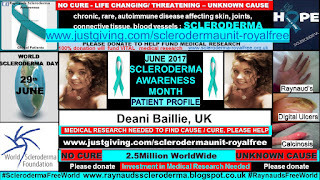 Please include UK patient Deani in your prayers, as she is currently undergoing treatment for digital ulcers and necrotic tissue which has moved up in to her arm. 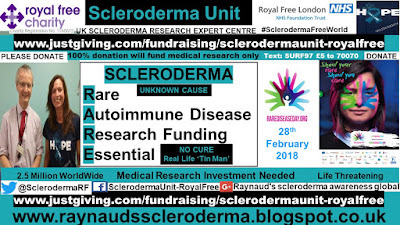 Over the years I have learnt via experience that should I push my body too much and not respect the demands of the multi complex symptoms, my body will protest with a vengeance. With fatigue being a constant, unwelcome, companion. I was particularly encouraged to see that fatigue and sleep were subjects included within the recent BSR schedule. 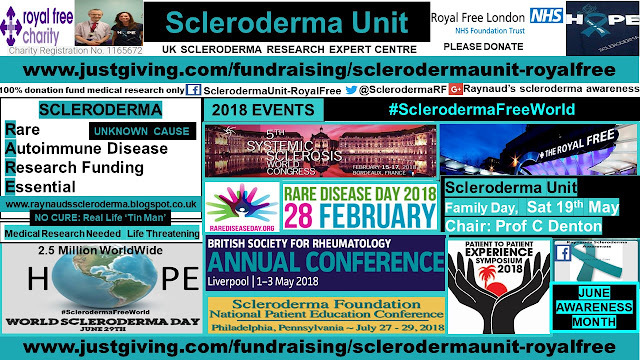 Along with several sessions on Systemic Sclerosis, sharing the most recent data. I was extremely sad to not be able to attend the conference, especially as it was practically on my door step! 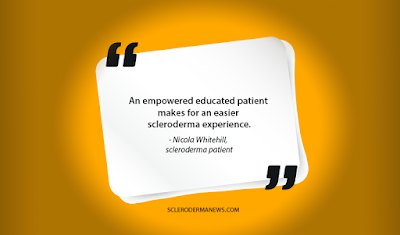 However, as a ‘seasoned’ patient, I know that I must accept: my symptoms dictate. As well as, the difficulties of travelling with an invisible disability. 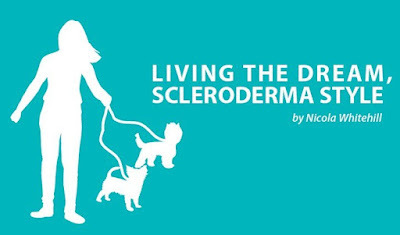 I have written about the Few Highs and Many Lows of living with this diagnosis, previously. Sadly, the lovely Maureen Schotterer from USA, was called back to her maker last week. 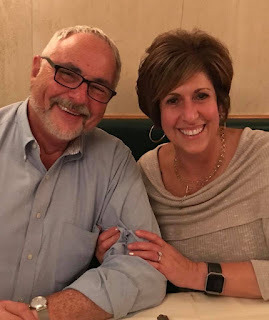 Please include her husband George and her family in your prayers. There are only a few weeks remaining, until the highlight of our year as patients – June Scleroderma Awareness Month, and 29th June, being, World Scleroderma Day. 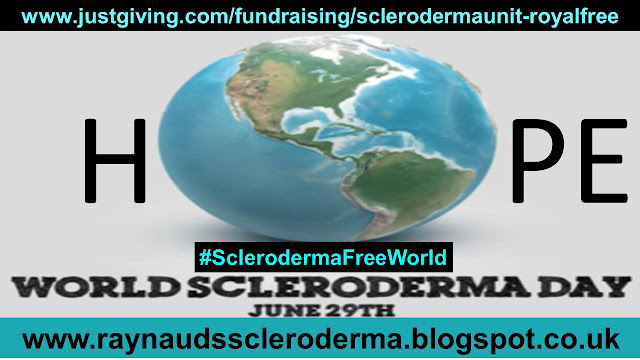 There are many projects already in the planning for 2018 awareness #SclerodermaFreeWorld. 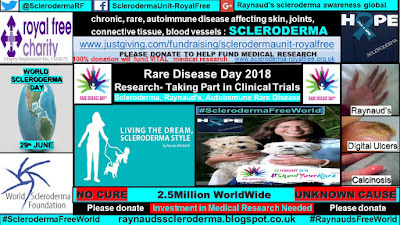 I will be updating the global patient profiles, highlighting the urgent need for investment in medical research, to improve our patient day to day reality. 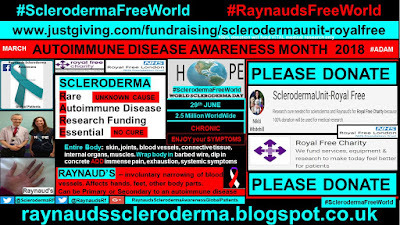 In celebration for World Scleroderma Day, 29th June, myself and UK patient Liz Leadbetter, have started a forum for sharing pictures / images of any craft or item which a patient has made / created, whilst awaiting in between their next medical appointment. 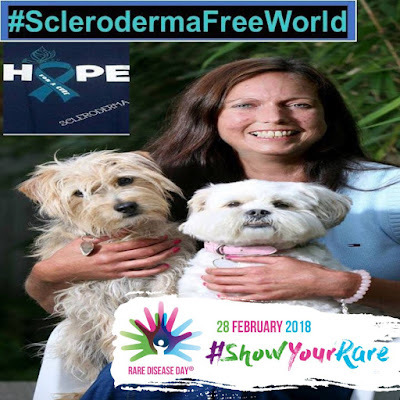 We will then collate the images to share on World Scleroderma Day, showing the world how creative our global community is, and raising awareness at the same time. 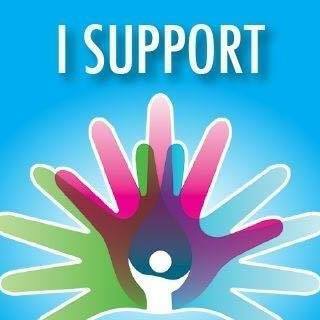 Please get involved! In the meantime, this Scleroderma Olympian is in training for the Scleroderma Unit Family Day on the 19th May at the Royal Free Hospital.